I have scoured the net looking for a good repository of running trail maps around Atlanta and have come up short. There is no good resource for running trail maps – you could use www.mapmyrun.com, but it is diluted with running routes that leave from a person’s front door. I need a resource for actual running trails. Hopefully this list will grow to be more complete over time and a halfway decent resource for Atlanta runners. 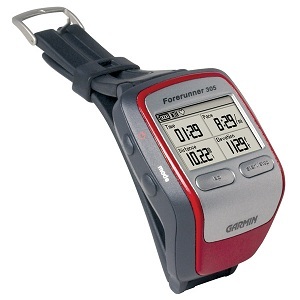 Two years ago my wife, Jen, bought a great toy for me – the Garmin Forerunner 305. This is a GPS watch with tons of features. While running, you can see all sorts of real-time information such as distance traveled, elevation, calories burned, pace, auto splits, heart-rate and more. Plus, if you have run a trail before, you can compete against your previous run. I typically just use it for real-time distance, pace and heart-rate. The cool thing is that when you get home, you can plot your course on the computer through various applications. I use SportTracks by Zone Five software, but there are others as well. For all of my running maps, I will give my GPS output on a map as well as any “official” trail maps I can find to try to give a complete overview of the trail. I will also try to give some decent information about the area. I hope this helps other Atlanta area runners and will hopefully serve as a growing repository of good running locations in Atlanta. If you find these posts helpful or if you would like to contribute, let me know. I would be glad to have additional writers for these articles.